In the hinterland of the Côte d'Azur and the Mediterranean Sea, the relief changes as you get closer to the Alps. 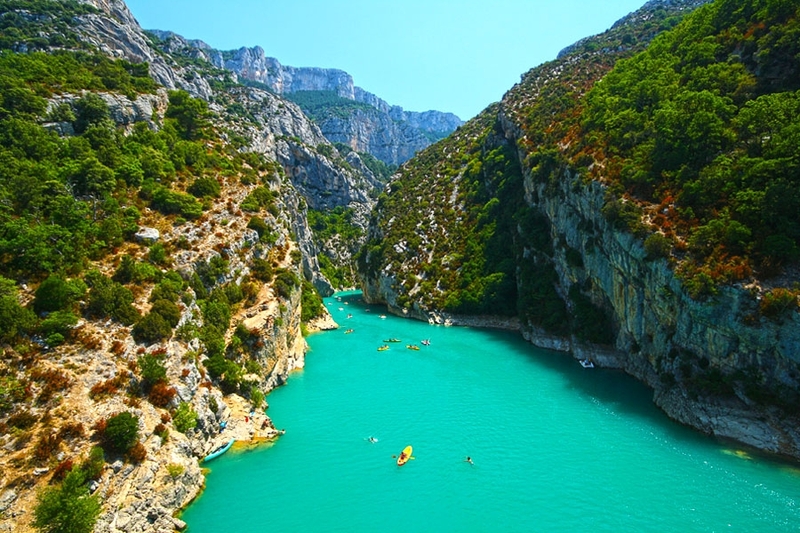 Here, at the heart of the rock landscape, the Verdon river has found a way through the earth and created the most spectacular canyon of Europe. This dazzling canyon is breathtaking. The landscape can be admired from the perched hiking tracks or from the river during a canoe trip.